Oct. 11 and 12 “From B to X. 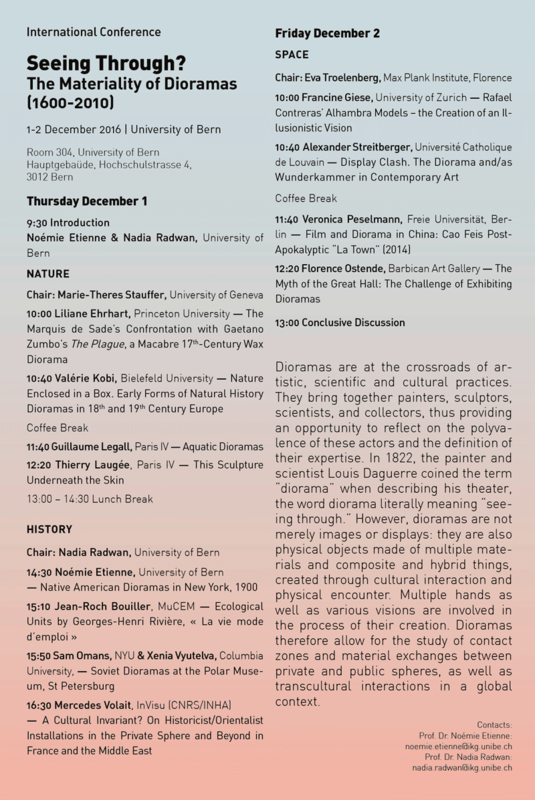 Art History (making) since John Berger,” October 11 and 12, Unil (SIK-ISEA) and Musée de l’Elysée. See more images here. Feb. 20 “Circulating Crafts. Art, Agency, and the Making of Identities (1600-2000),” CAA Panels, Los Angeles. Jan. 24 Workshop, La Colonie, Paris, co-organized with Yaelle Biro. More pictures. ”Seeing Through? 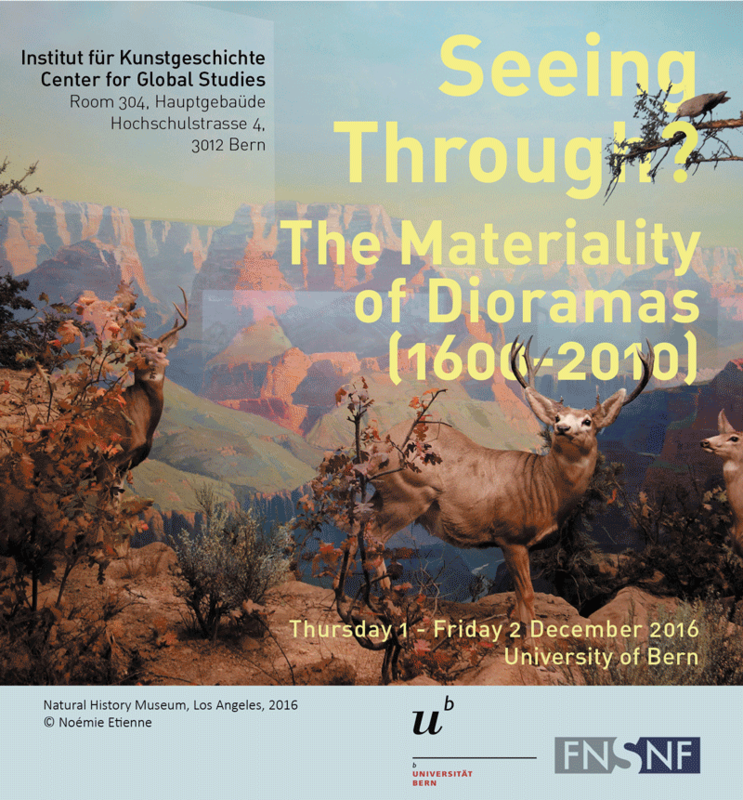 The Materiality of Dioramas (1560-2010),” International Conference, University of Bern, Switzerland, Institute of Art History, co-organized with Nadia Radwan. ”Tableaux Vivants: Life and/as Art in the Eighteenth Century,” Panel for the American Society for 18th Century Studies, Pittsburgh, co-organized with Meredith Martin (NYU). 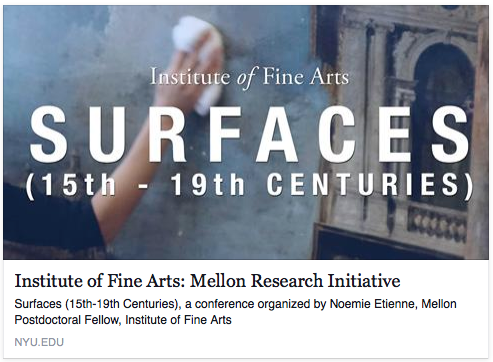 March 27 “Surfaces,” Mellon Research Conference, Institute of Fine Arts, NYU. Program. Watch online. March 20 “Pilgrim Arts in the 18th Century,” Panel for the American Society for 18th Century Studies, Los Angeles, co-organized with Meredith Martin (NYU). Program. April 25 “Objects from Abroad. 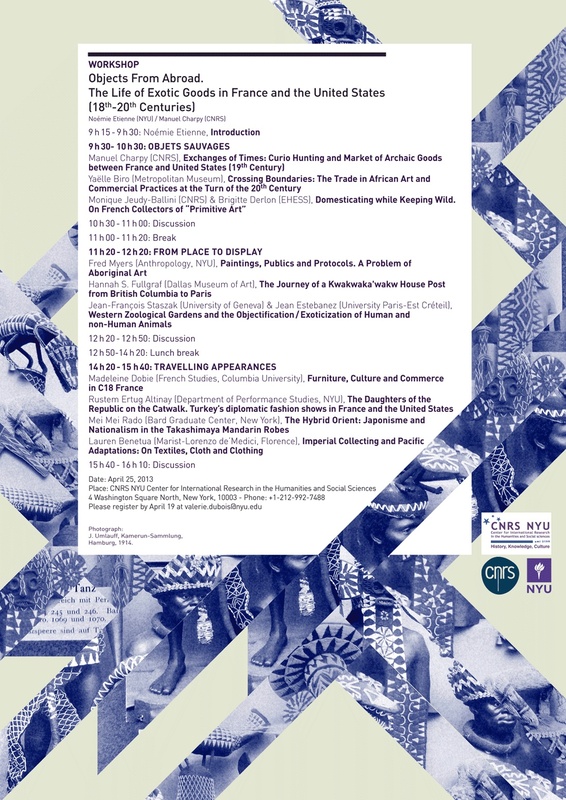 The Life of Exotic Goods in France and the United States (18 th-20th Centuries),” International Symposium, New York University, US, co-organized with Manuel Charpy (CNRS). See online: “Becoming Exotic. Notes on the Workshop Objects from Abroad,” Material World Blog, 2013. Publication. 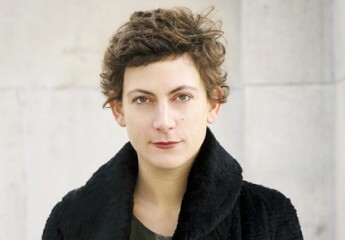 20 – 21 “Head on,” Principal Organizer of the International Symposium in collaboration with the Art and Design University of Geneva (HEAD), the Art History Department and the Gender Studies Department of the University of Geneva, Switzerland. 1st – 2nd “The restoration of artworks in Europe between 1789 and 1815: Practices, Transfers, Issues,” Principal Organizer of the International Symposium, University of Geneva, SwitzerlandSee online: La restauration des œuvres d’art en Europe (1789 et 1815). Pratiques, transferts, enjeux, Ceroart Special Issue, 2012. 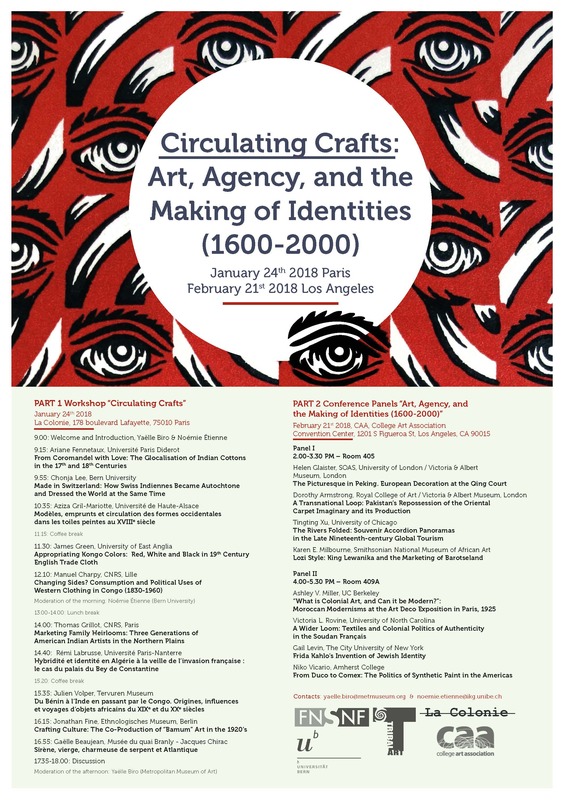 June 30 “The Restoration of Artworks: actors and practices (18-21th Centuries),” co-organized with Léonie Hénaut (CNRS), National Institute of Art History, Paris, France. Publication.